Many businesses are one user and one email away from a data breach or security risk. Just ask the Massachusetts Eye and Ear Associates, which in September 2012, had to pay a penalty of $1.5 million to settle violations of the Health Insurance Portability and Accountability Act (HIPAA). The fine was issued after a doctor working at the organisation had his laptop stolen; a laptop that this doctor had recently brought into the office and housed sensitive patient information. Or chat to Peter Bauer, the CEO of Mimecast, who lost a whole gallery of family photos and other personal information thanks to a BYOD policy he helped create. While on a family holiday, Bauer’s daughter got hold of his smartphone and tried to guess the device PIN. After five failed attempts, the phone was automatically wiped. If anything, these two examples showcase how quickly things can go wrong. Despite being aware of the security risks, many organisations still lack a sense of urgency when it comes to addressing their mobile security strategy issues. This is where mobile device management (MDM) software comes in. Equipped with all of the security features modern businesses need to empower their mobile teams while keeping sensitive corporate information safe. Products like Microsoft’s InTune software empower employees, mobile administrators and your IT security teams by allowing people to use the device’s they feel comfortable using, while mitigating security risks. What are some of the key benefits of mobile device management policies and security apps? We list a few below. Remote wipe: Remember the story about Mimecast’s Peter Bauer? His rather unfortunate situation was the result of a remote wipe. Basically, when a device goes missing or when a user leaves the company and has no need to access business data anymore, a device wipe makes it possible to remove corporate data from the mobile device, without ever touching personal data. A full wipe is also possible and can be initiated should the device fall into the wrong hands. Limit certain actions: When it comes to limiting or denying specific actions, the right MDM security software makes this possible. For example, if you want to prevent employees from storing corporate data in their personal Dropbox account, you can activate restrictions around data relocation, limiting untrusted resources. Access control: Often, employees feel uncomfortable installing mobile management security apps onto their personal devices due the fact that they also store personal information on their devices. With the right MDM software, there is a clear distinction made between personal and corporate information. 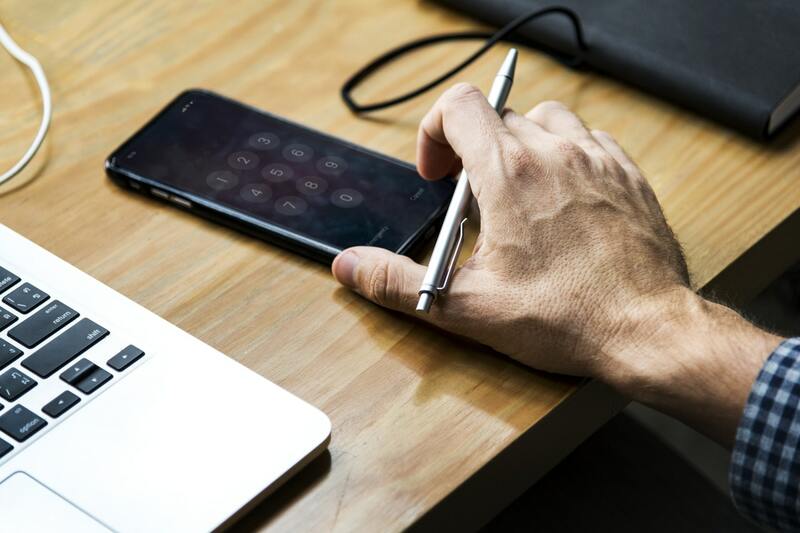 In line with this, mobile administrators can deploy access control policies that dictate who can and cannot access company information, including things like encrypting devices and setting stringent password requirements. If you want to allow your employees to use their personal devices for work purposes in a safe way, implementing a solution like InTune is a great option. This is particularly true as more and more businesses are welcoming the millennial generation into their workforce. Need help navigating and implementing these security apps and device safety strategies? We’re here to help. Our monthly newsletter offers a wealth of insights about all things digital transformation, mobile device management and so much more. Subscribe below.